Posted on August 4, 2014 August 4, 2014 by JumpKing Trampolines, U.S. The month of July was not so calm for the gymnastics enthusiasts in the United States. 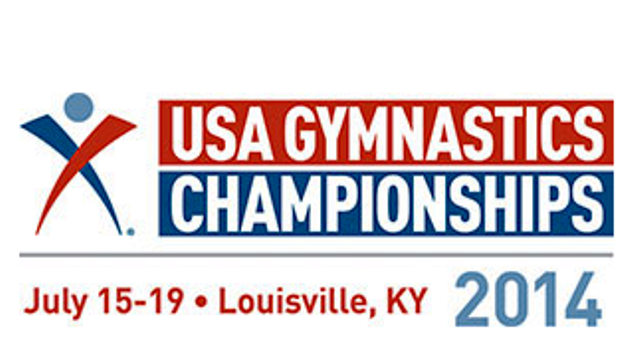 More than 1,600 of the nation’s top most gymnasts from acrobatics, rhythmic, trampoline and tumbling gymnastics arrived at Louisville, KY this month for participating in the 2014 USA Gymnastics Championship. The event started with the fans’ greatest synergy and enthusiasm on the 15th of July. What excited people the most was the athletes’ roster comprising of 7 defending champions. The 5 day event was dedicated for trampoline, tumbling, acrobatic and rhythmic gymnastics. The presence of top most U.S. gymnasts brought more indefinite curiosity and excitement in the fans resulting in an event that was really more than a competition between the gymnasts where fans seemed to be much more excited to see their most favorite athletes on the field. Let us now categorically look into what actually happened at the 2014 USA Gymnastics Championship. The presence of top most U.S. gymnasts brought more indefinite curiosity and excitement in the fans resulting in an event that was really more than a competition between the gymnasts; where fans seemed to be much more excited having their most favorite athletes on the field. Let us now categorically look into what actually happened at the 2014 USA Gymnastics Championship. Trampoline and Tumbling is really a fun activity but when it came to the championship, expert trampoline and tumbling athletes made the most out of it by jumping more than 30 feet high in the air and showing their amazing skills and moves. Resources also revealed that many of the markets leading trampoline brands also sent their representatives to the event showing their great support and passion for the USA Gymnastics Trampoline and Tumbling Championship. 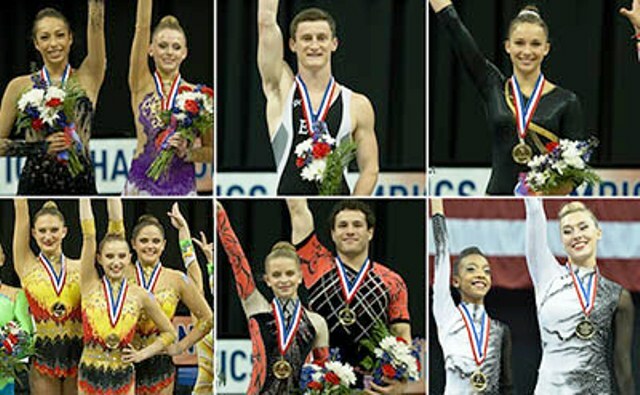 Let us now quickly move on to the surprising championship results by identifying some of the most prominent gymnasts at the event. There were a total of 819 athletes who participated in the elite and junior Olympic levels from 37 states across the U.S where the event ended up with some surprising results. 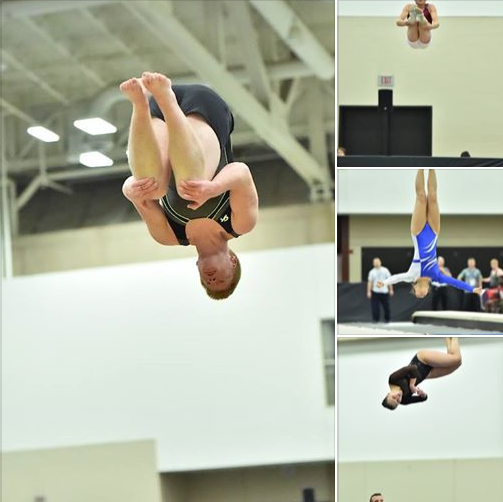 From hundreds of trampoline and tumbling athletes under Junior Level category, Cody Gesuelli of Elite Trampoline Gym from Middle Town managed to successfully position himself on 1st Following him, Jonah Bonner of the Sky Surfers Trampoline Gym finished with the 2nd position and Paul Bretscher of the Premier Athletes Gym stood on the 3rd Position. In the senior level trampoline and tumbling category, it was Jeffrey Gluckstein of Elite Trampoline gym from Atlantic Highlands positioned himself on the 1st Position with a difference of 2195 points as compared to Neil Gulati of the World Elite trampoline gym who finished by placing himself on the 2ND Logan Dooley of World Elite trampoline gym from Lake Forest was surprisingly the man who finished with the 3rd place. Typically in the Rhythmic gymnastics category, the competition ended up with surprising results when for the first time in the history of USA Rhythmic Gymnastics Jazzy Kerber and Rebecca Sereda tied with a total score of 129.100. Prior to starting the event, the majority of the fans’ anticipated the two times U.S. Champion and World All-Around finalist Rebecca Sereda will win the contest. The live webcast for USA Gymnastics Championship engaged all the fans from around the world seeking their most favorite athlete winning this competition. Next to the trampoline and tumbling category, the acrobatic gymnastics category was the second category having hundreds of gymnasts that comprised of 623 athletes from 8 states across the U.S. While having a great competition amongst the top most athletes, under the group oriented competition Christina Antoniades, Emily Ruppert and Hannah Silverman succeeded their group to stand on the 1st Position whereas for the paired oriented competition Kiley Boynton and Ryan Ward stood on the 1st Position beating Smith and Kincher with a difference of 5.374 in the total scores. Acrobatic gymnasts thrilled their fans with the beauty of dance with the immense strength and agility, Rhythmic athletes astound their fans by embracing the grace, elegance and beauty of dance and acrobatics and pro trampoline gymnasts marked their standings by thrusting more than 30 feet high in the air where they delighted their fans by doing countless double and triple somersaults. Indeed the event ended up with not just surprising results but now there is much more fans are anticipating for the next USA Gymnastics Championship.